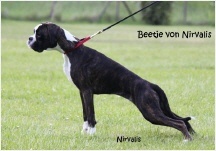 Beetje Herz-0, Birthe Herz-0, Birke Herz-1 and Brom Herz-1. 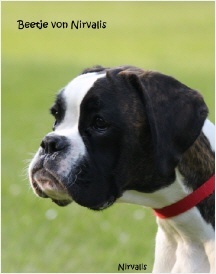 Our C-litter has been registered withoult any faults. 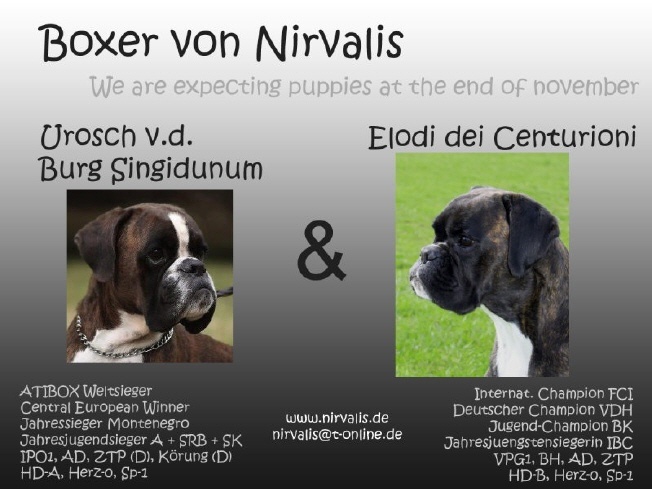 The puppies of our Elodi dei Centurioni and MCh. 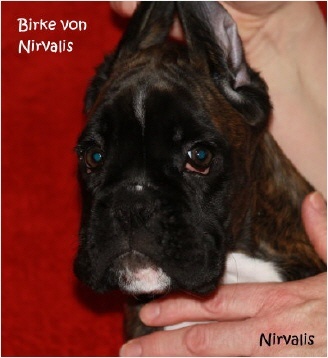 Urosch von der Burg Singidunum arrived on 23.11.2012. 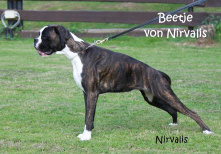 We are happy about a yellow male, a brindle male, a yellow female and a brindle female. 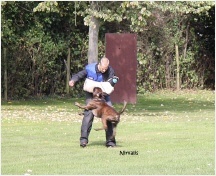 Pictures you can see here. 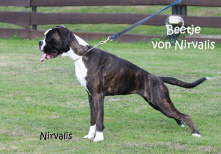 ( Körmeister Beate Spelsberg ). 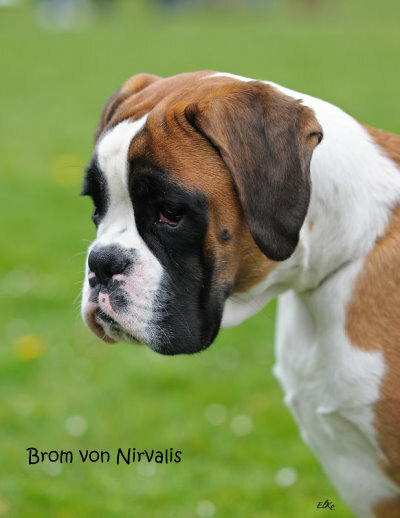 Sehr gute Schutzdienstlesitungen, voller fester Griff, gute Bewachung. 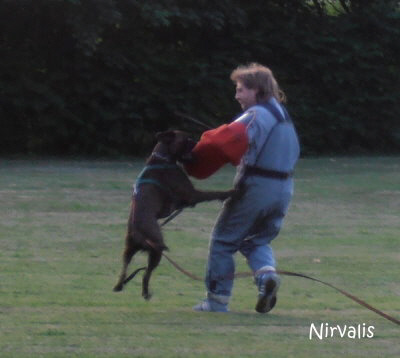 Many thanks to Egon Gutknecht, Sascha Neff and Frank Windischmann for their help ! 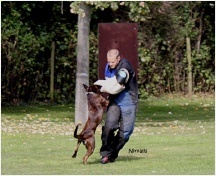 On 21/9/11 MCh. 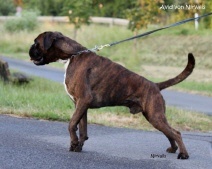 Elodi dei Centurioni has been mated to MCh. 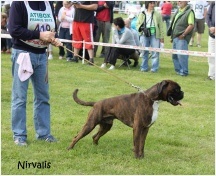 Atibox World Winner Urosch v.d. Burg Singidunum. 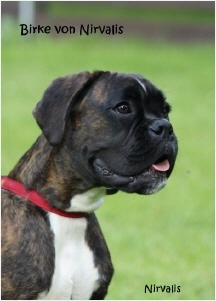 If all is ok, we are expecting our C-litter at the end of November. 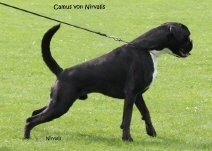 We are happy about a further V1 + CAC in intermediate class for our Avid von Nirvalis (Judge U.Werner). 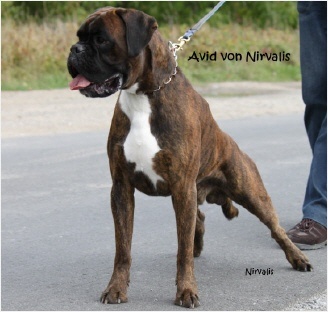 We are happy about a further V1 + CAC in intermediate class for our Avid von Nirvalis (Judge B. Jodl). 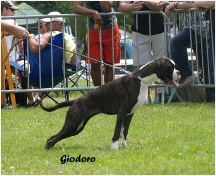 Elodi dei Centurioni excellent 1 + CAC in champion class. 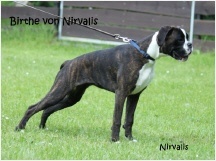 We are happy about a further V1 + CAC in intermediate class for our Avid von Nirvalis (Judge B. Müller). 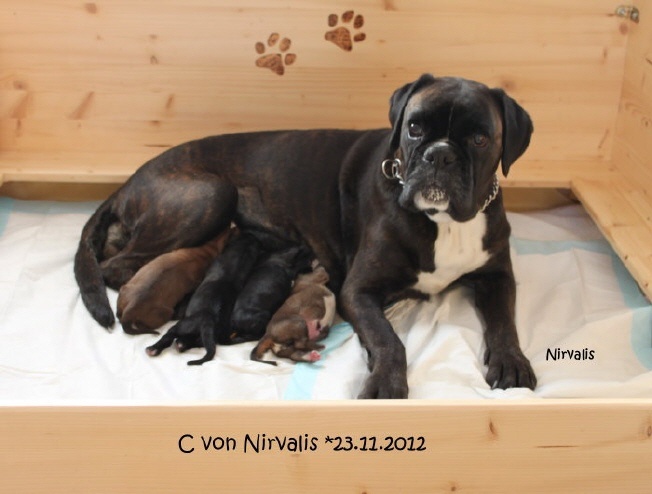 Congratulations to Brom von Nirvalis and family Diehbach! 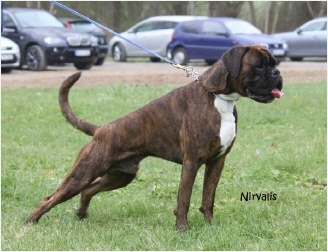 On 10.06. 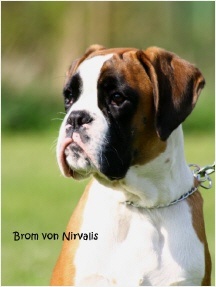 Brom reached "very promising 2" in puppy class by judge B. Spelsberg at the special show Gütersloh. 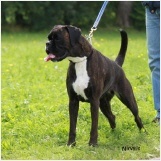 Elodi dei Centurioni got "place 6" in champion class with 14 females (Judge I. Magdziarska). 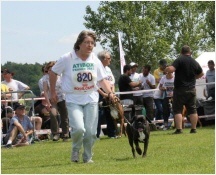 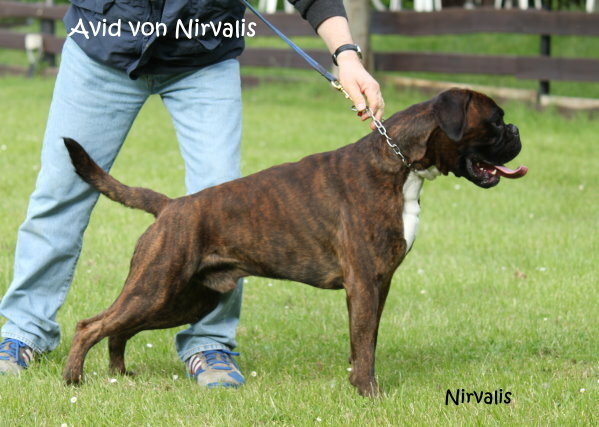 Avid von Nirvalis got "place 7" in intermediate class with 23 males (Judge J.V. 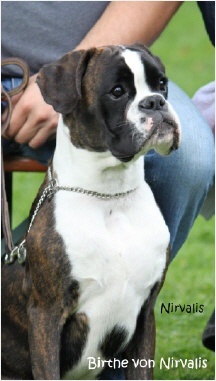 Pocas). 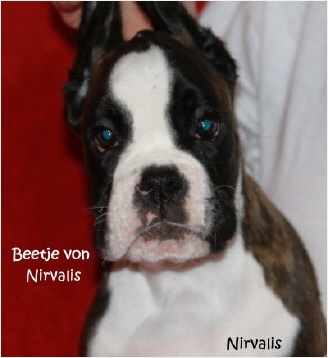 Beetje von Nirvalis got - as one of the youngest in her ring - "place 6" in puppy class with 20 females (Judge M. Egeblad). 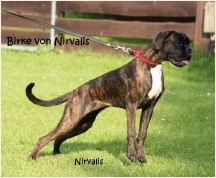 Avid von Nirvalis got Excellent 1 + CAC in intermediate class at the Special Boxer Show in Kaiserslautern ( Judge Inge Gerwin ). 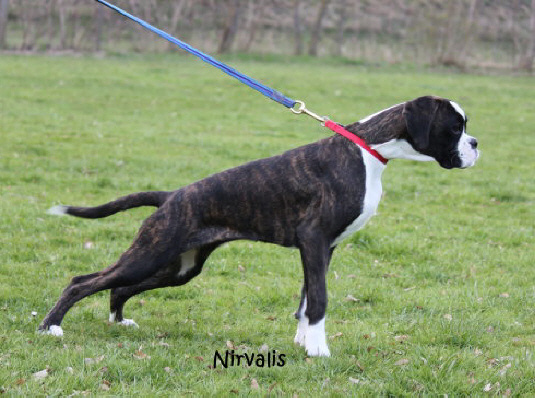 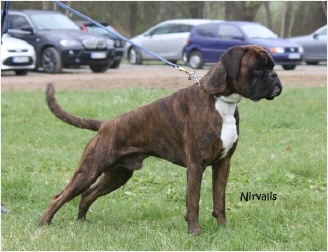 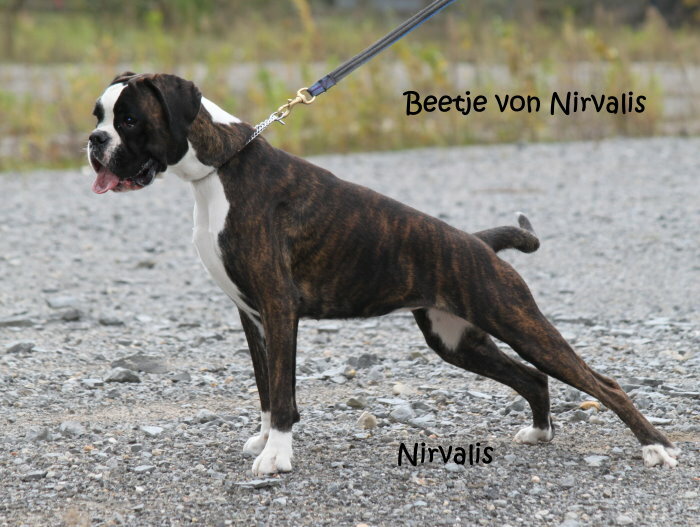 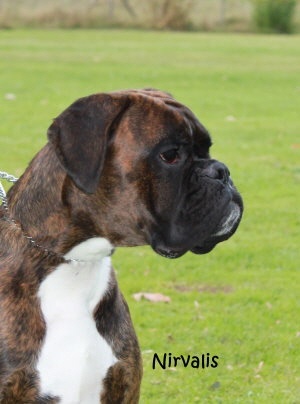 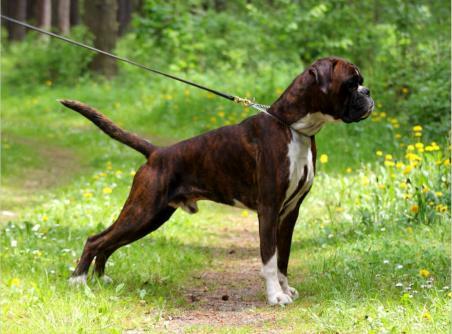 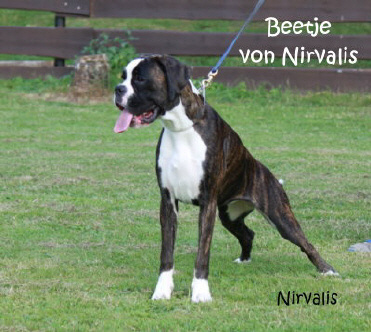 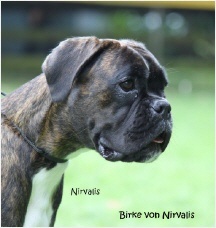 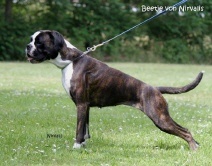 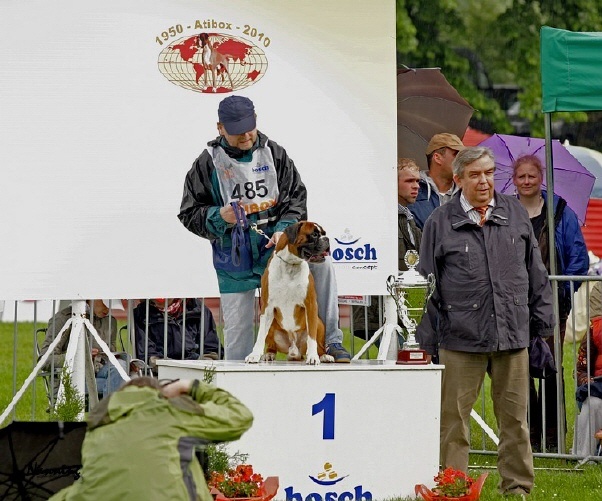 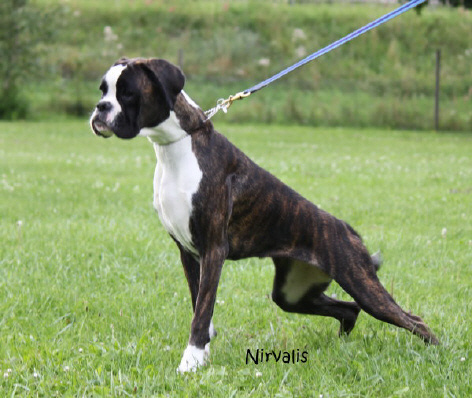 Our Avid von Nirvalis got excellent 2 + CAC by judge U. Werner in intermediate class at the special boxer show Schatthausen. 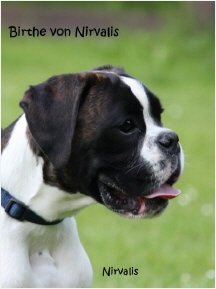 The litter has been registered without any faults in the age of 8 weeks. is celebrating his 11. birthday on 6.1.12 ! 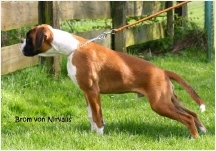 On 8. 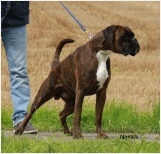 November 2011 MCh. 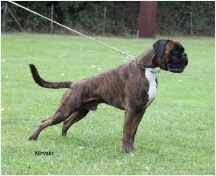 Elodi dei Centurioni gave birth to 1/4 yellow and brindle puppies of MCh. 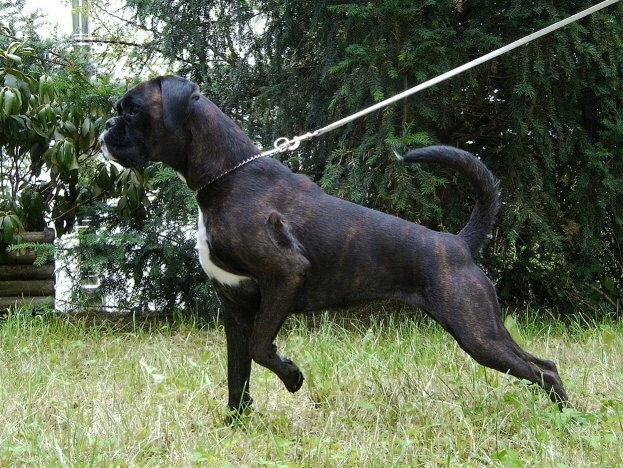 Teseo dei Centurioni. 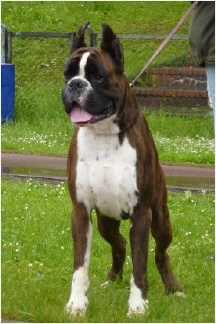 Elodi is expecting puppies of Teseo. 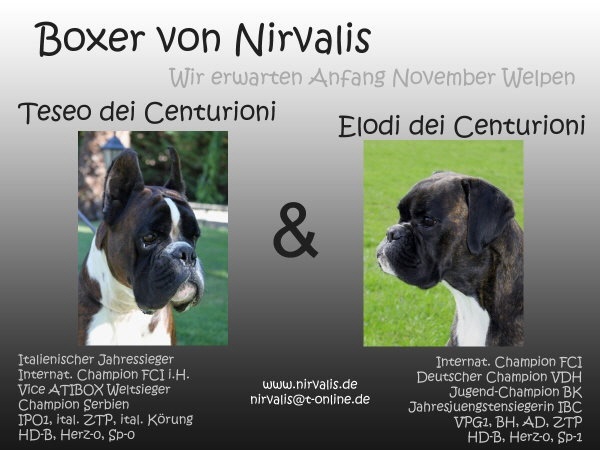 On 5.Sept.11 Elodi dei Centurioni has been mated to Teseo dei Centurioni. 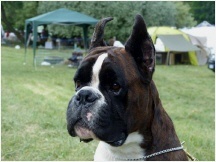 The title International Champion FCI has been homologated to Elodi dei Centurioni.